I met Amanda, owner of Amery Studios at Emerald City Comicon, and fell in love with her jewelry line. It’s gorgeous and nerdy, what more could you want? She showed me a couple of different pieces, and then stopped at this one. “Are you familiar with nerdfighters? It says ‘Don’t Forget to Be Awesome’ on it. And I make them in all of the Hogwarts house colors.” I stopped her right there. “And it’s in Gallifreyan?” I responded. “Yep!” she said. One necklace that works for three fandoms? I clearly needed to have it. Love Doctor Who, Harry Potter, and the “awesome” message of the nerdfighter movement? Then you also need this piece. 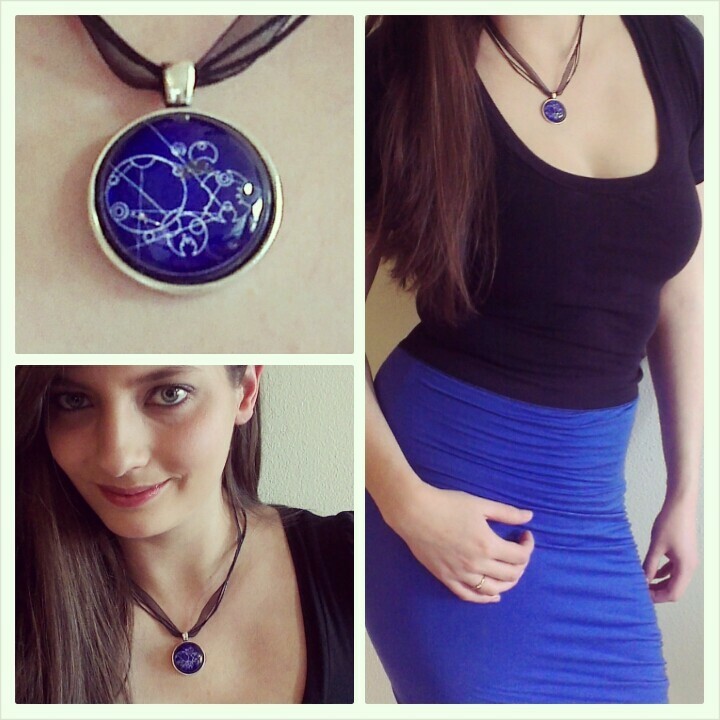 I chose a Ravenclaw-colored necklace since I was sorted into that house in Pottermore and the colors also happen to match the TARDIS, making it the perfect piece to go with my TARDIS dress, skirt, or any other blue clothing. Are those not your fandoms? Check out Amery Studios anyway. You’re sure to find something you’ll love! Thank you so much for posting this, Tara! I appreciate your lovely pictures and kind words 🙂 It was great to meet you at Emerald City, and I hope you had a great time!